Wales is one of the countries that make up the United Kingdom. Although the country has few major cities, it has a unique cultural identity, extensive industrial heritage and archaeology, and many areas of landscape beauty. 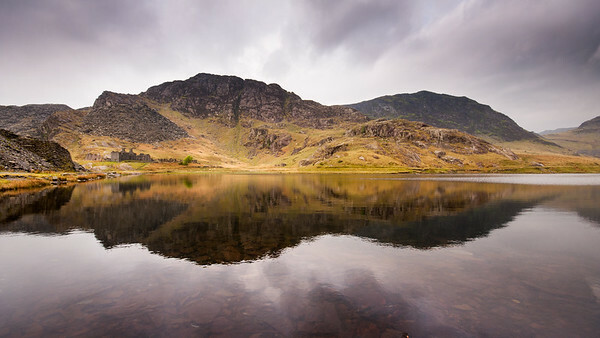 Wales is home to three World Heritage Sites — the collection of mediaeval castles built following the Edwardian conquest, the industrial landscape of Blaenavon in the valleys, and the Pontcysyllte Aqueduct — and to three contrasting National Parks — the moors and valleys of the Brecon Beacons, the rocky Irish Sea coast of Pembrokeshire, and the mountains of Snowdonia. 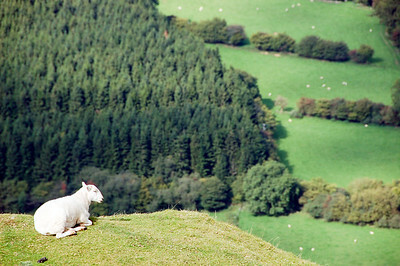 A lone sheep looks out from a mountain over forest and farmland in the Brecon Beacons National Park of South Wales. 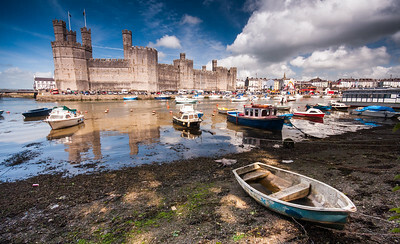 Caernarfon, Wales - May 10, 2011: The 13th century mediaeval castle reflected in the river at Caernarfon in North Wales, now a World Heritage Site. 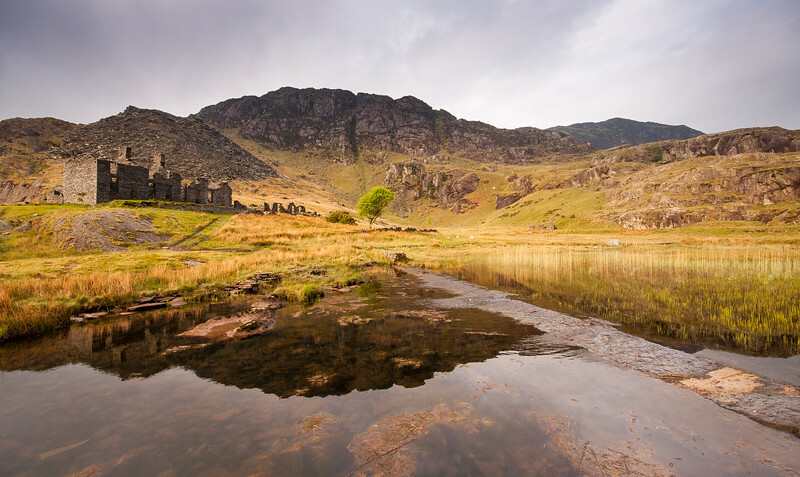 Disused slate mine workings at Blaenau Ffestiniog in the mountains of Snowdonia, North Wales. 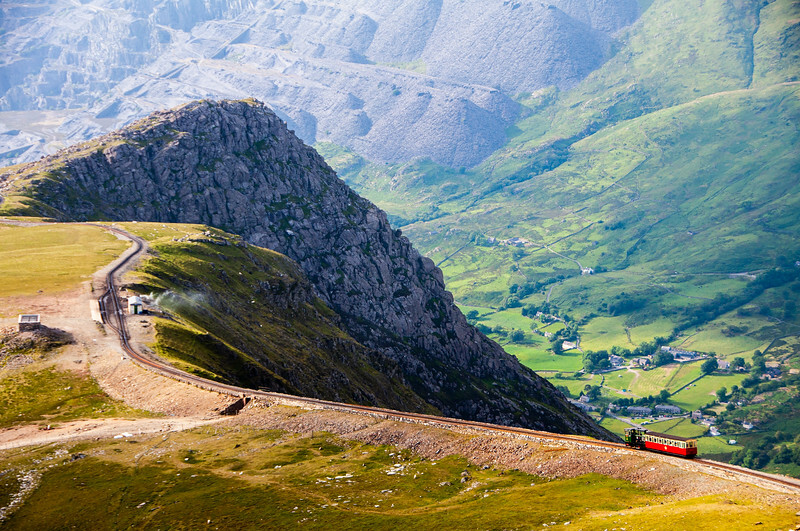 A train descends from the summit of Snowdon Mountain on the narrow gauge rack mountain railway with the Llanberis valley and spoil heaps of Dinorwig slate quarry in the distance. 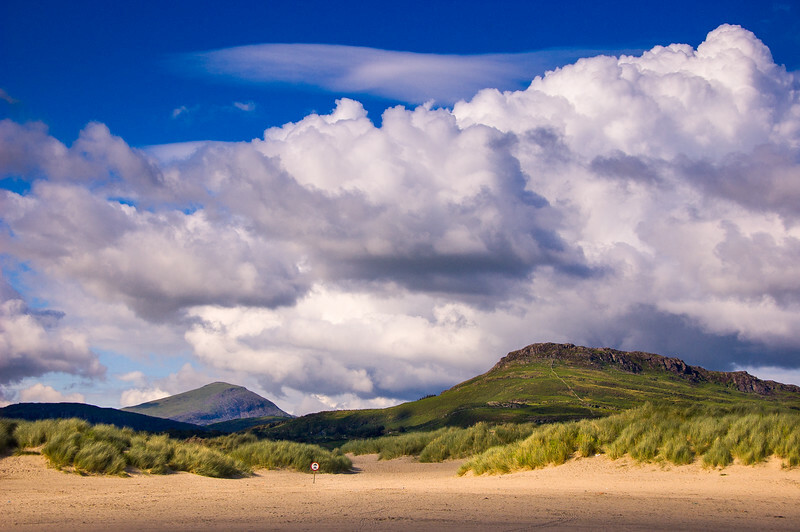 Moel-y-Gest mountain in Snowdonia National Park rises behind the sand dunes of Black Rock Sands at Porthmadog on the Irish Sea coast of north Wales. 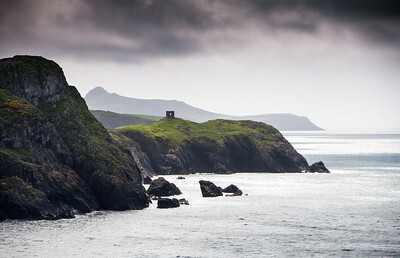 Old quarry buildings top the cliffs at Abereiddy in the Pembrokeshire Coast National Park, Wales. 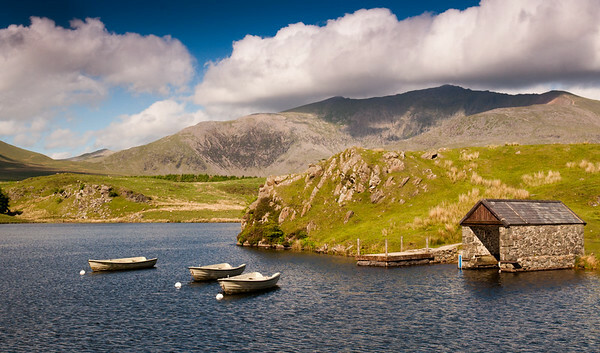 Boats moored on a small lake near Rhyd Ddu, with Snowdon mountain rising behind, in the Snowdonia National Park in north Wales. The old Pont Briwet Bridge across the Afon Dwyryd river estuary under the mountains of Snowdonia and amidst the sandy beaches of the north Wales coast. 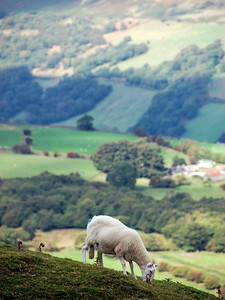 A lone sheep grazes high on a mountain above forest and farmland in the Brecon Beacons National Park of South Wales. 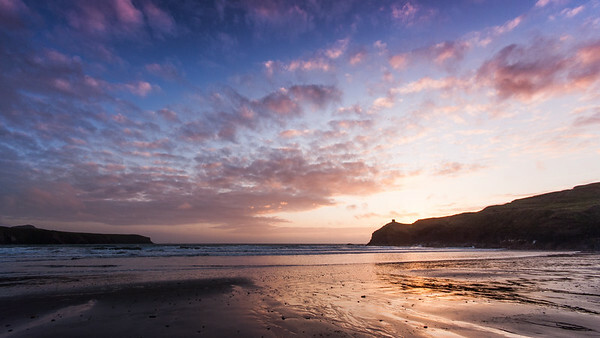 Abereiddi Tower stands on cliffs beside Abereiddy Bay on the Pembrokeshire Coast National Park in West Wales. 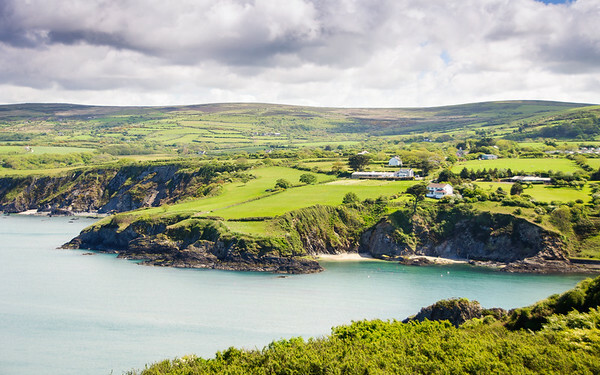 Green fields lead down to cliffs and sea at Newport Bay, seen from Dinas Head in the Pembrokeshire Coast National Park, Wales. 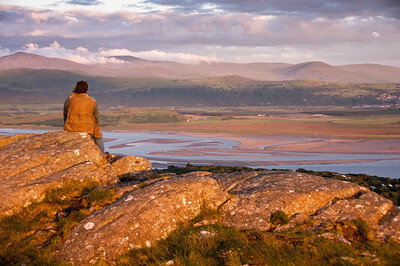 The sun sets on the estuary of the Afon Dwyryd river at Porthmadog in north Wales, viewed from Moel-y-Gest mountain in Snowdonia National Park. The sunset casts a red sky over the mountains of Yr Eifl on the Lleyn Peninsula in north Wales, viewed from Moel-y-Gest in Snowdonia National Park. 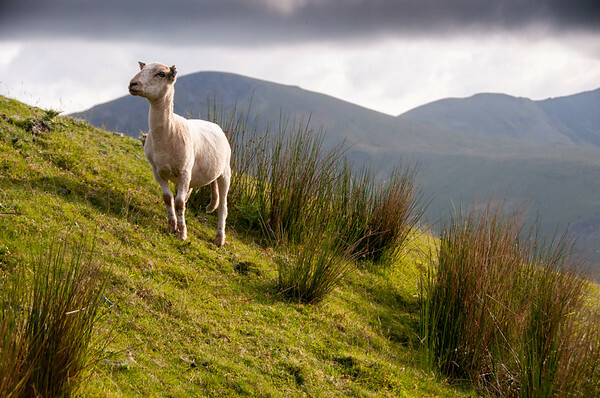 A sheep grazes on the grassy slopes of Snowdon mountain in Snowdonia National Park, Wales. 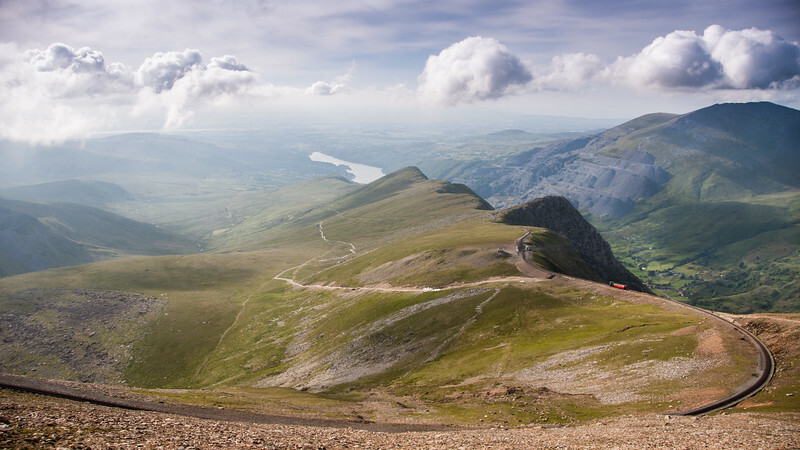 The view north from Snowdon mountain to Llanberis village and lake, with the Snowdon Mountain Railway tracks descending the ridgeway, in Snowdonia National Park, Wales. 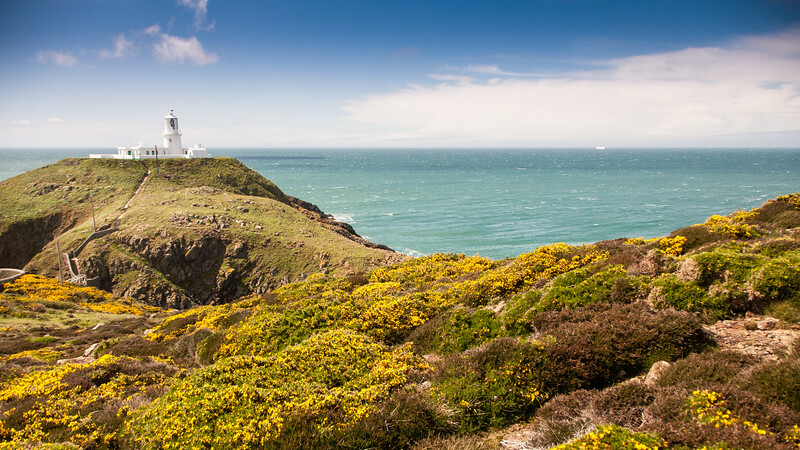 The lighthouse at Strumble Head in Pembrokeshire, Wales. 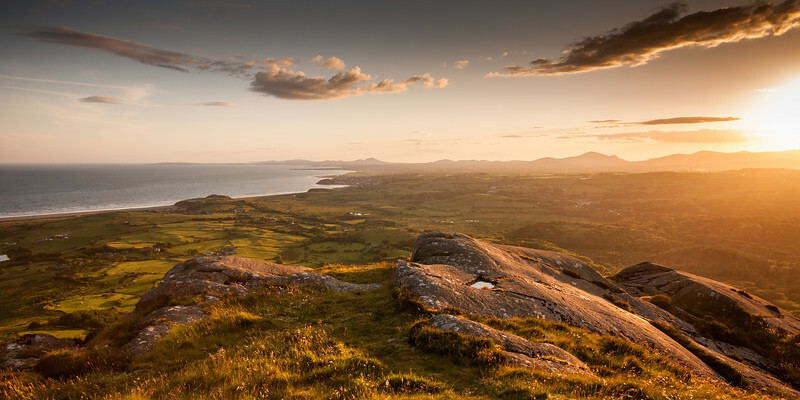 Sunset over Criccieth Bay and the Lleyn Peninsula as seen from the summit of Moel-y-Gest mountain near Porthmadog in the Snowdonia National Park of North Wales. 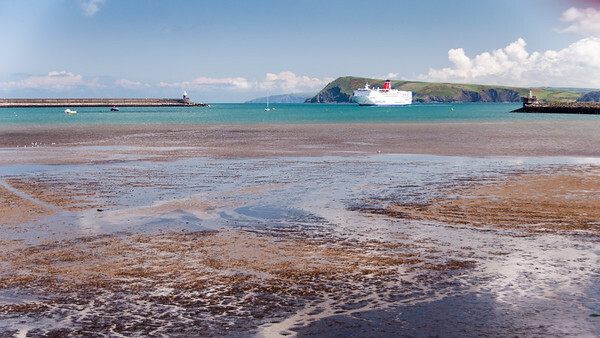 Fishguard, Wales, UK - May 21, 2009: A UK-Ireland ferry boat passes cliffs and beaches on the Pembrokeshire Coast as it enters the dock at Fishguard in Wales on a sunny day. 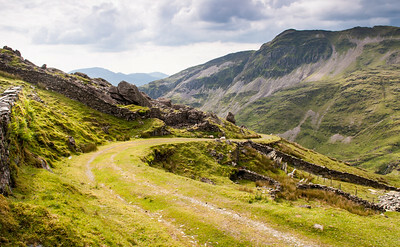 Sheep on the incline track that leads to Croesor Quarry on the side of Moelwyn Mawr mountain in Snowdonia National Park. 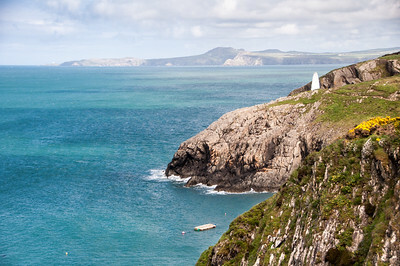 A cairn marks the entrance to Porthgain Harbour on the Pembrokeshire Coast National Park in West Wales. 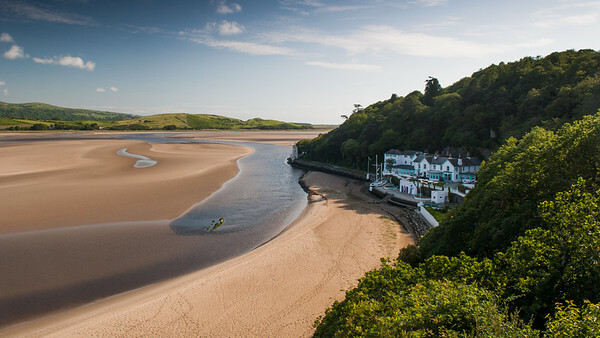 Portmeirion village nestled in woodland on the estuary of the River Dwyryd in North Wales. 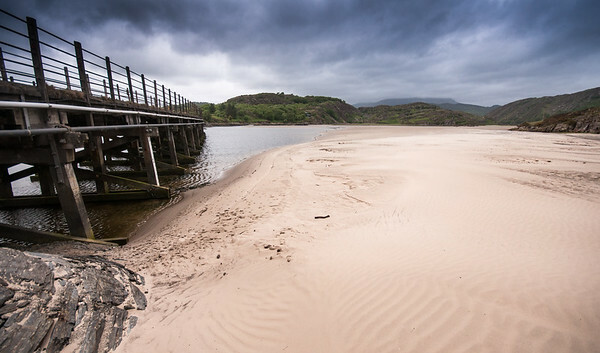 Porthmadog, Wales, UK - May 11, 2011: The narrow gauge Ffestiniog Railway crosses the Cob embankment with Porthmadog town and Moel-y-Gest mountain in the distance, in Snowdonia National Park. 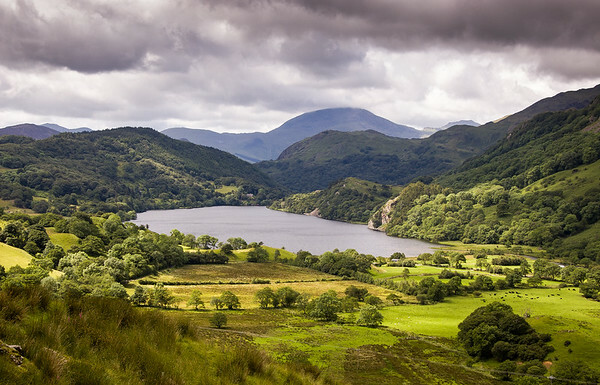 Llyn Gwynant lake nestles in a valley under the wooded slopes of Snowdon and other mountains of Snowdonia in North Wales.